The CX-3 puts driving pleasure first at the expense of interior space and daily drivability. Crossovers, as the name clearly implies, are mash-ups of a car and an SUV. On paper, the thought of combining the two designs might seem like a good idea, but rarely does it actually equate to something that looks or performs half decently in the real world. Just take a look at the Toyota C-HR. Yikes. Luckily, this isn’t an issue the 2019 Mazda CX-3 suffers from. The Japanese firm’s subcompact competitor is striking, barely missing out on being gorgeous, and is quite the performer. 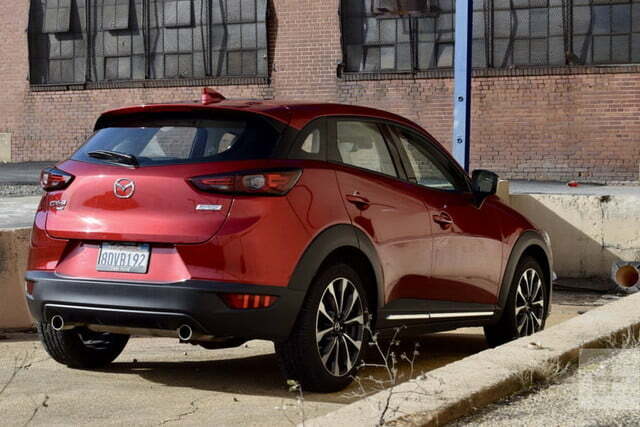 With its subcompact size, the CX-3 is essentially a slightly taller and wider version of the last-generation Mazda3. In addition to being ever so slightly bigger than the Mazda3, the CX-3 crucially offers all-wheel drive. The CX-3 isn’t a trendsetter, competing against the likes of the Hyundai Kona, Kia Niro, Honda HR-V, and Nissan Kicks. 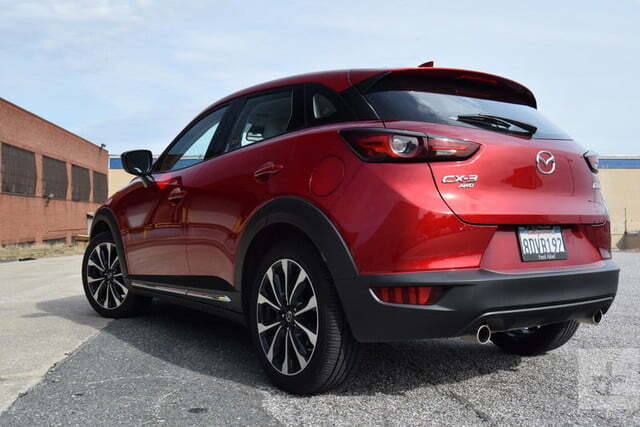 Just like other Mazda models, the CX-3 is available in Sport, Touring, and Grand Touring trims. With front-wheel drive, the CX-3 Sport starts at $21,435 (including destination). All-wheel drive (AWD) is available throughout the entire lineup and adds $1,400 to the CX-3’s bottom line. Our test vehicle was a Grand Touring trim with AWD. With the incredible soul red crystal paint, a few dealer-installed accessories, and the Premium Package ($710), which adds niceties like an auto-dimming rearview mirror, a heated steering wheel, a six-way power-adjustable driver’s seat, and traffic sign recognition, our tester came out to $29,695. Of course Mazda would get the proportions and lines of its baby crossover just right. The CX-3 shares many of its flowing lines with the outgoing Mazda3, which is just another way of saying it’s a handsome machine. The soul red crystal paint scheme may cost an extra $595, but it’s a splendid color, and we like how it contrasts with the black body cladding. In pictures, the CX-3 comes off as being a larger vehicle than it really is in person. In the flesh, it’s a curvy little thing that’s the perfect size. Once again, there are no surprises with the CX-3’s interior. The automaker’s simplistic yet upscale and refined cabin is a breath of fresh air as rivals move toward more cluttered designs. Everything is clearly labeled and positioned where you expect to find it. If you reach to turn up the heat, there’s a low chance of you missing the dial and accidentally landing on the one to get the air to blow on your face. 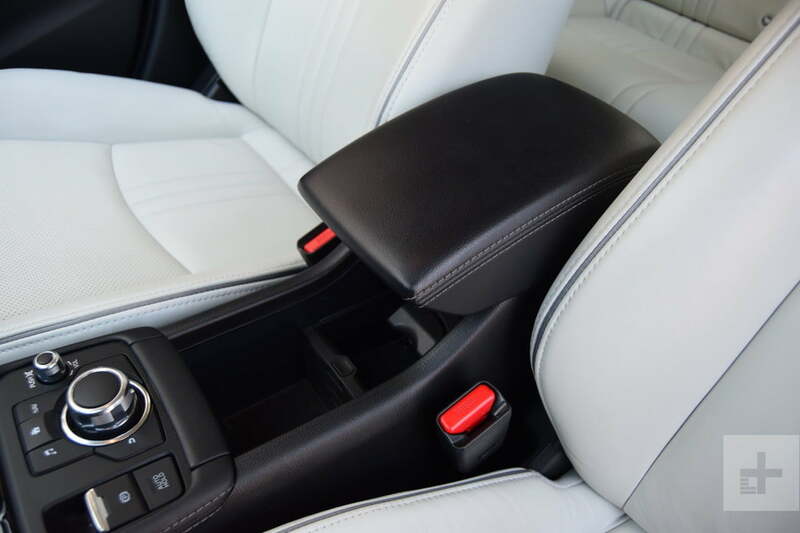 Leather-trimmed sport seats are standard on the top two trims and really boost the CX-3’s upscale feel. The circular air vents and faux suede dashboard are a nice touch as well. Putting it politely, the CX-3 is well behind its competitors in terms of interior space. While fit and finish are excellent, and material quality is well above what one would expect in a vehicle at this price point, the CX-3 feels claustrophobic on the inside. Its dramatic roofline severely eats into overall passenger space. The issue isn’t too bad in the front, because the passengers sit incredibly low, but it’s a different story out back. 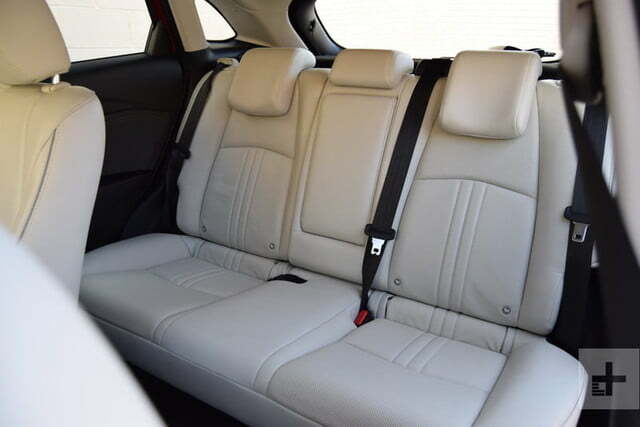 The rear seats offer just 37.2 inches of headroom, and only 35 inches of legroom. In other words, get behind someone of average height and your knees will rub against the front seat. 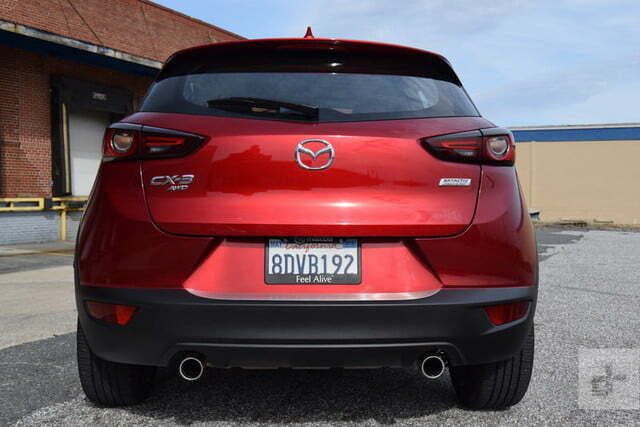 The most egregious issue with the CX-3 is its puny trunk. The model offers only 12.4 cubic feet of cargo space behind the rear seats, and it trails its competitors in terms of interior space. Overall passenger volume for the CX-3 checks in at 87.6 cubic feet. That’s well behind the Honda HR-V (110.1 cubic feet) and the Hyundai Kona (94.1 cubic feet). Cargo space is down in the CX-3, as well, as the HR-V can hold 23.2 cubic feet behind the rear seats, while the Kona has 19.2 cubic feet of space. Technology is one of the CX-3’s strong points, though it doesn’t offer a comprehensive suite of advanced safety features like Toyota’s C-HR. The base Sport trim comes with a government-mandated rearview camera, blind spot monitoring with rear cross traffic alert, and Mazda’s Smart City Brake Support system as standard. Optional features on the Sport include lane departure warning, advanced Smarty City Brake Support with pedestrian detection, a head-up display, and adaptive cruise control with stop and go. All of these features are standard on the range-topping Grand Touring trim. The little gem in the CX-3 isn’t its technology, it’s how easy the tech is to use. 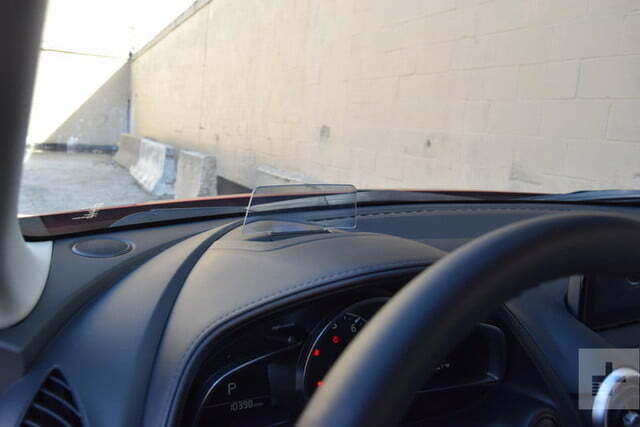 Every CX-3 comes with a 7.0-inch touchscreen that’s tacked on top of the dashboard. 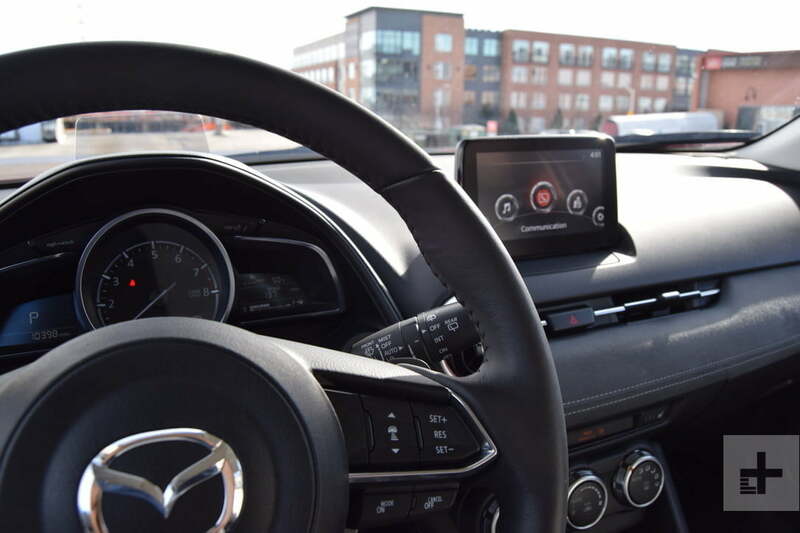 Mazda places the controls for the infotainment system directly behind the shift knob, which is a fantastic location because your hand naturally gravitates there. Hard buttons are included for music, home, and navigation functions, while a rotary dial lets the front passengers scroll through the infotainment system’s menus. It’s a good thing the CX-3’s infotainment system is simple to use, because Apple CarPlay and Android Auto are still missing. Both features are available in many of its competitors, including the Kona. While the 7.0-inch touchscreen is a good size, the head-up display, while nice, provides an overwhelming amount of information on a tiny screen. It’s in charge of providing the car’s speed, lane departure warnings, information about the cruise control settings, turn-by-turn guidance, and blind spot monitoring warnings. That’s a lot of information packed into a tiny rectangle, and it becomes difficult to sort through what all of the symbols means. Mazda’s lane departure warning system deserves a mention. Instead of sounding an audible alert or sending vibrations through the steering wheel when the CX-3 drifts out of its lane, the software emits an alien-like sound through the speakers to warn the driver. It’s horrifying at first, and you’ll think something’s broken, but once you get used to it, it’s a much nicer form of feedback. A long-time champion of making cars that are fun to drive and enjoyable to live with on a daily basis, Mazda has made a crossover that shines at the former, but struggles with the latter. There’s only one engine available for the CX-3: a 2.0-liter four-cylinder that makes 148 horsepower and 146 pound-feet of torque. Front-wheel drive (FWD) is the standard configuration, while AWD is available at an extra cost. Regardless of which layout you go with, the four-cylinder shifts through a six-speed automatic transmission. The CX-3’s engine isn’t the reason you buy the car, but its driving dynamics sure are. Peppy, agile, and full of life, the CX-3 feels more like a car than a crossover when pushed around corners. Instead of offering a system to let you adjust the AWD system based on terrain or weather, Mazda tacked a Sport button onto the transmission tunnel. That’s a testament to what the CX-3 is all about, which happens to be driving pleasure when a road gets twisty. 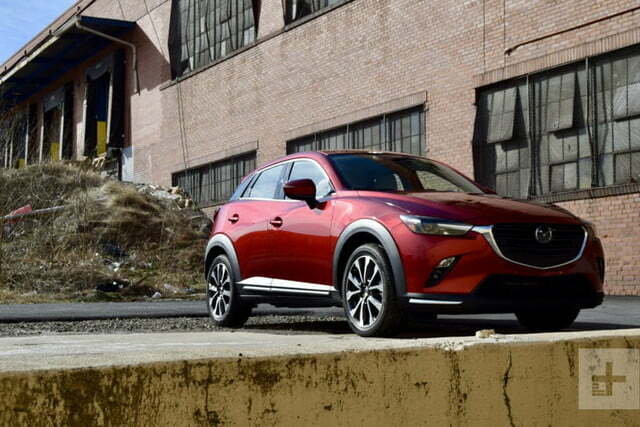 Zoom, zoom may be gone, but the CX-3 still knows how to get down. You won’t find this level of engagement in any of its rivals. Unfortunately for the CX-3, what makes it so good around corners diminishes its ability to be comfortable in daily use. The cabin gets loud at highway speeds, and the coarse engine note that emanates from the front doesn’t help soothe your eardrums. The stiff suspension results in a jarring ride on rough pavement, which nullifies the ruggedness of the black body cladding. As a weekend driving machine, few crossovers can compete with the CX-3. It handles better than the Kona and the HR-V. As a comfortable crossover that you’ll want to use as your main method of transportation, it’s outshined by its competitors. 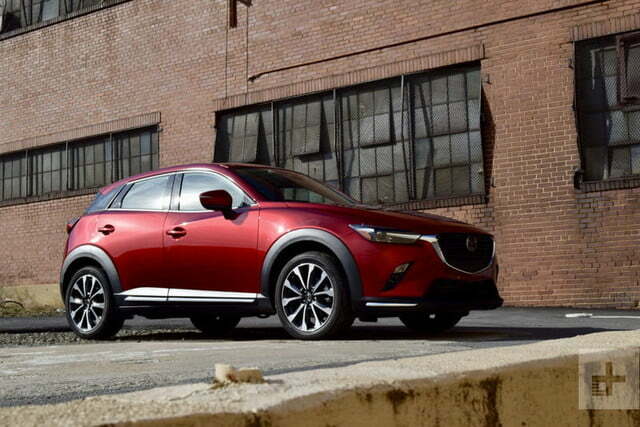 Mazda’s Skyactiv trickery makes the CX-3 one of the more efficient subcompacts on the market. Opt for front-wheel drive, and the EPA estimates you’ll achieve 29 mpg in the city and 34 mpg on the highway. For the all-wheel drive model we tested, those numbers fall slightly to 27 mpg in the city and 32 mpg on the highway. A two-mpg drop in both of those environments isn’t a drastic difference in fuel economy, making the all-wheel drive layout the recommended one. The aforementioned figures place the CX-3 above most of its rivals; Hyundai’s Kona gets 27 and 33, respectively, with front-wheel drive and a 2.0-liter engine, while the HR-V returns 28 and 34. Narrowing down the CX-3’s competitors to just two options leaves a couple of our favorites: the Hyundai Kona and the Honda HR-V. Price wise, the CX-3 fits snuggly in between the two. Hyundai’s offering starts at $19,785, while the HR-V costs $21,565 in its base trim. The CX-3 trounces both when it comes to standard and available safety features on the entry-level trim and pure driving pleasure. Both Honda and Hyundai offer high-tech safety features, but you have to work your way up the ladder before being able to check those boxes. Where the Kona and the HR-V start to create a massive gap is in space. 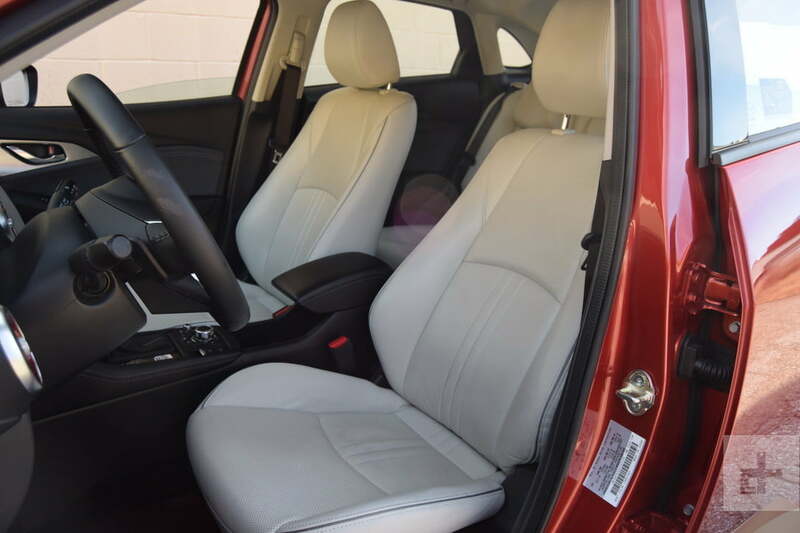 Both offer usable back seats and larger cargo areas over the CX-3. They aren’t slightly larger either, but noticeably so. Whereas the CX-3 is best suited for a couple or a sole individual, the others could do some light family work. 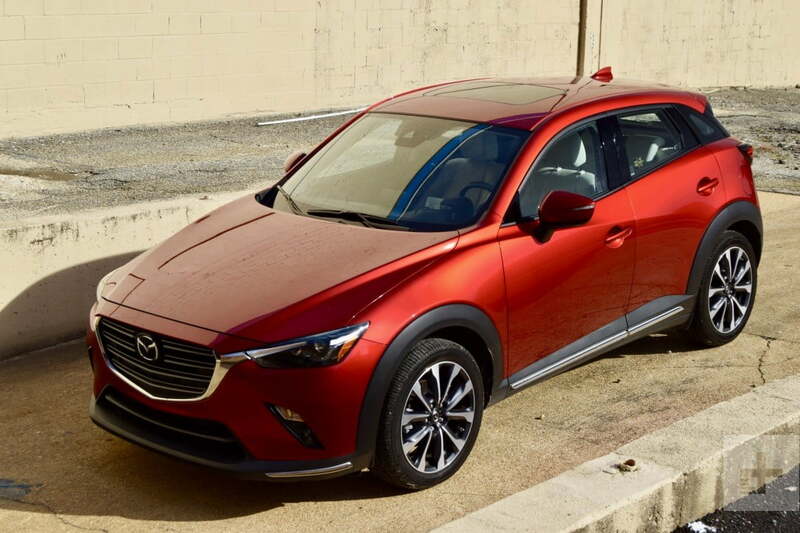 The 2019 Mazda CX-3 comes with a three-year, 36,000-mile limited warranty and a powertrain warranty that lasts for five years or 60,000 miles. Mazda’s no Honda in the realm of reliability, but the CX-3 should be average if not above average when it comes to reliability. 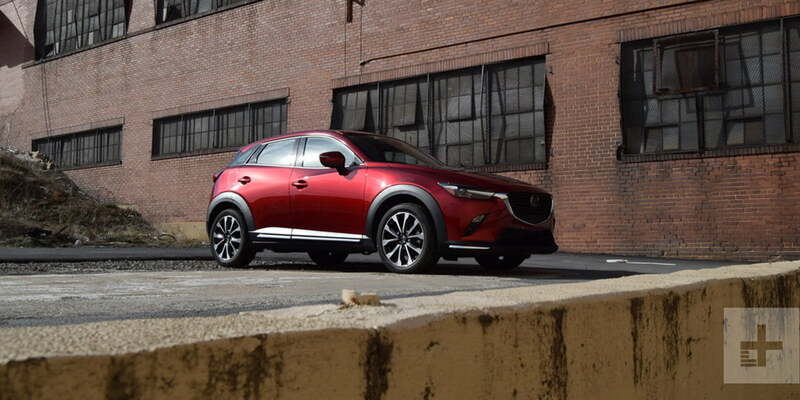 From a safety standpoint, the CX-3 did extremely well in both the IIHS and NHTSA’s test. The NHTSA gave the CX-3 a five-star overall rating, while the IIHS named the crossover one of its Top Safety Picks. Headlights stopped the CX-3 from being named a Top Safety Pick Plus. 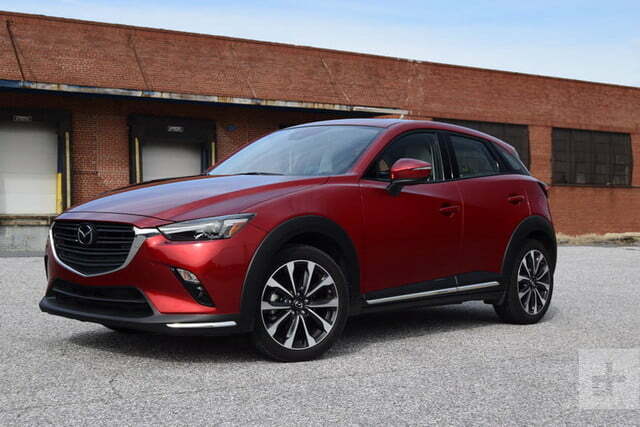 With Mazda offering loads of safety tech as an option on the entry-level Sport trim, the CX-3 is one of the few vehicles that lets you get everything you want without spending a lot of money. We’d go with the mid-range Touring trim because it’s at this level that we can add upscale features by ticking a few boxes on the list of options. AWD is a must, as is the $1,000 Touring I-Activsense package, which bundles the driver-assistance features we mentioned earlier. Audiophiles will want to check the box for the Preferred Equipment package ($1,410) that adds a Bose audio system and SiriusXM, among other things. Mazda pushed the CX-3 too far in the direction of dynamism, and it forgot about the usability aspect. The CX-3 is unique in its segment because it handles much better than any of its rivals, and we like its user-friendly tech features, but motorists who try to stuff it with three friends and their gear for a weekend adventure will quickly discover its shortcomings. Undoubtedly, the CX-3 lives up to Mazda’s claim to fame of making cars that put driver enjoyment first. But the it doesn’t make a whole lot of sense. 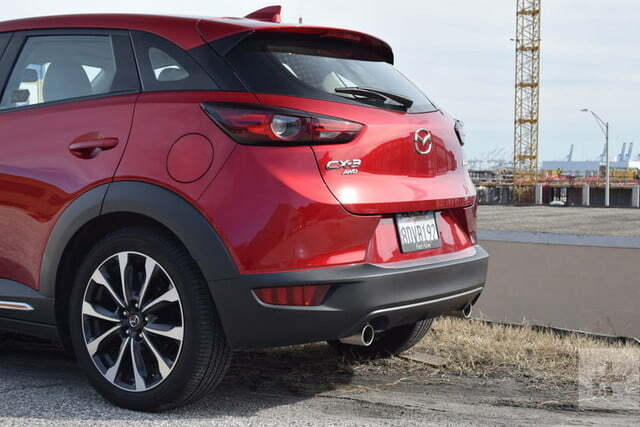 The outgoing Mazda3 hatchback has 6.1 inches of ground clearance, while the CX-3 has 6.2. 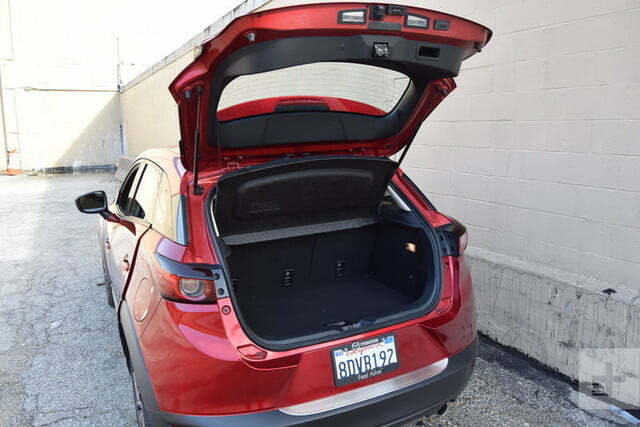 The hatchback has 20.2 cubic feet of cargo space, while the CX-3 has just 12.4. 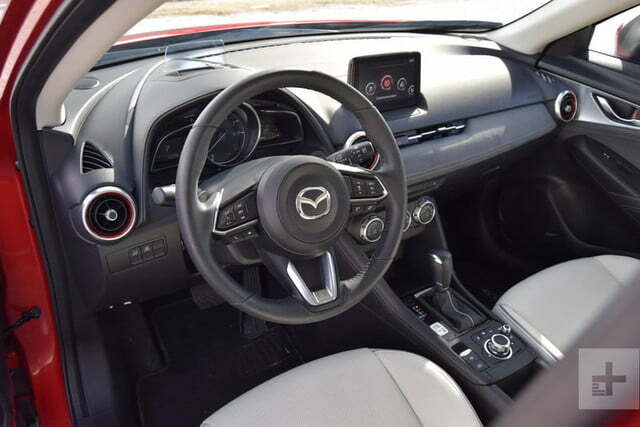 Thanks to a smaller stature, the Mazda3 hatch is more enjoyable to drive, has more power, is available with an enthusiast-approved manual transmission, and is more affordable. Take AWD out of the CX-3’s bag of tricks, it becomes evident that the layout is a crutch for the model. 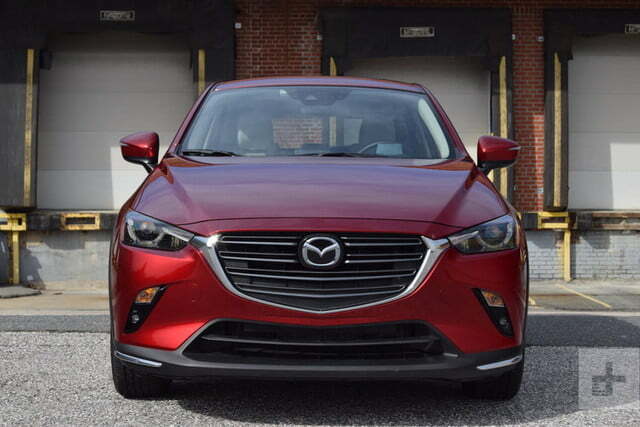 Unless you desperately need AWD, the Mazda3 hatchback is a better option than the CX-3. And even if you do, the all-new Mazda3 offers all-wheel drive as an option, which makes it an even better alternative. If you want to stick with crossovers – and don’t put driving above all else – the HR-V and the Kona are better choices. Those are also available with a similar list of technology features as the CX-3. No. Cramped, loud, and bordering on having a jarring ride, the CX-3 is confused about what it is. While it has the looks of a crossover, it’s clearly a car masquerading as something rugged. Despite having an attractive list of safety features, the compromise required to get those is a costly burden, especially for motorists that don’t live near a perfectly-paved stretch of road that happens to be closed 24/7.